In most cases we did share notebooks on GitHub. Here we wanted to show how easy it is to import those notebooks. First, let’s choose a notebook. We can pick a notebook from our own computer but we wanted to show how easy it is to import one from GitHub. GitHub exposes public URLs which makes it real easy. Let’s go into the ted folder of our GitHub repo: https://github.com/vplauzon/databricks/tree/master/ted. This will lead to the raw content of the file (which happens to be JSON based). Let’s copy the URL (https://raw.githubusercontent.com/vplauzon/databricks/master/ted/ted.ipynb). In Databricks’ portal, let’s first select the workspace menu. Let’s pull down the Workspace menu and select Import. We get an Import Notebooks pop-up. 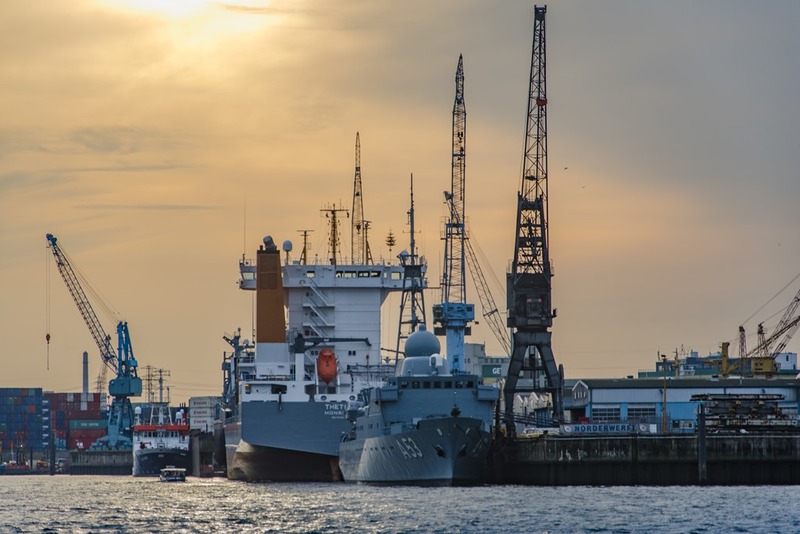 Default configuration imports from File, i.e. local file. This is where we could import a Jupyter notebook from our local file system. We want to import from GitHub, so let’s select the URL option. 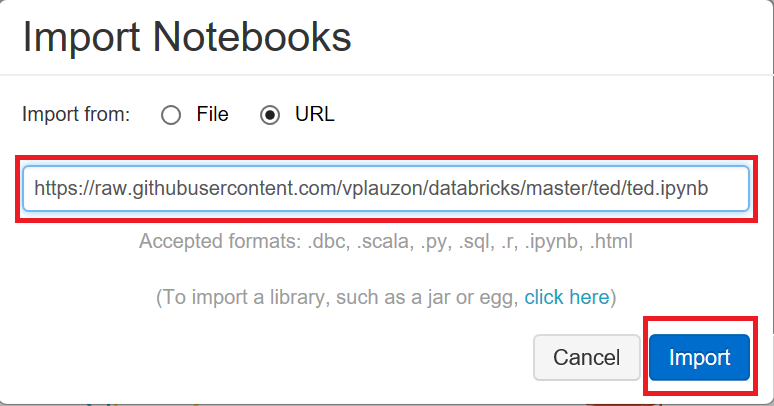 From there we can paste the notebook raw URL from GitHub and click Import. This imports the notebook file and creates a notebook in our workspace. 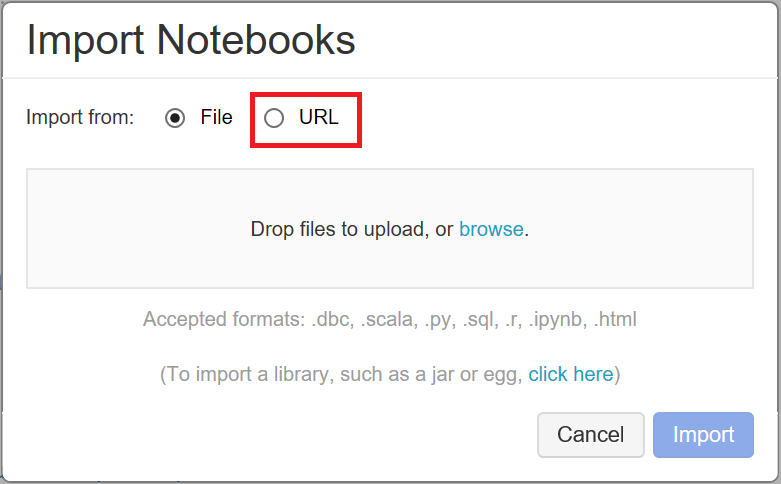 It is pretty easy to import a Notebook from GitHub or other public URLs. We can also save notebooks on our computer and import them from files. Databricks allows collaboration within a team via workspaces. 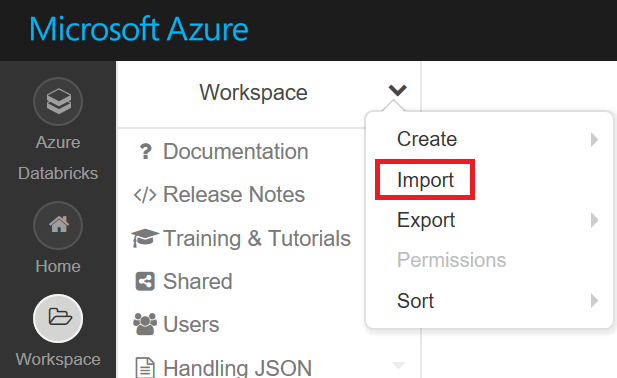 It also allows collaboration across teams by importing / exporting notebooks.